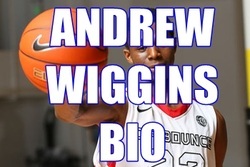 How would you like to buy a pair of Andrew Wiggins shoes? This will most likely be possible in the near future. NBA teams are not the only ones drooling over Wiggins, waiting for him to finish at Kansas. Big sneaker companies Nike, Adidas and Under Armor are all waiting for Andrew to finish his freshman year at KU and to get drafted in the NBA so they can start production on his shoe line. How Much Would Andrew Wiggins Get for a Shoe Deal? A shoe deal for Andrew Wiggins could be a multi-million dollar deal. The reason is that he is set to be the next NBA star and due to Under Armour entering the sneaker business, he could inspire the first three-company bidding war for a sneaker deal! The current rumored price for this deal is $180 million. You read that right. Nike is well known for making shoes backed by athletes, the most famous being Air Jordans, the sneakers featuring Michael Jordan. Andrew played for an AAU team that was sponsored by Nike and he also attended Nike basketball camps and at this point seems to really like the brand. Nike is rumored to be very interested in a shoe deal with Wiggins and reportedly will match any deal made by the other companies. Adidas has signed shoe contracts with big name basketball players like Kobe Bryant and is in the race for Andrew Wiggins. Adidas also sponsors the University of Kansas athletics department which means Andrew will be wearing Adidas during games and practices. When he asked "how much Adidas stuff he has to wear" he was told that he could wear his Nike stuff outside of the games. However, Adidas is aggressively chasing Wiggins and is the company to reportedly currently be willing to offer $140-$180 million to seal the deal next summer. Under Armour Andrew Wiggins Shoes? 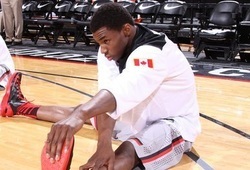 I just love the brand Under Armour and to see a pair of Under Armour Andrew Wiggins shoes would be irresistable to me. They have only been making footwear since 2006 so signing a deal with Wiggins would be a major step for them to take a larger share of the market. 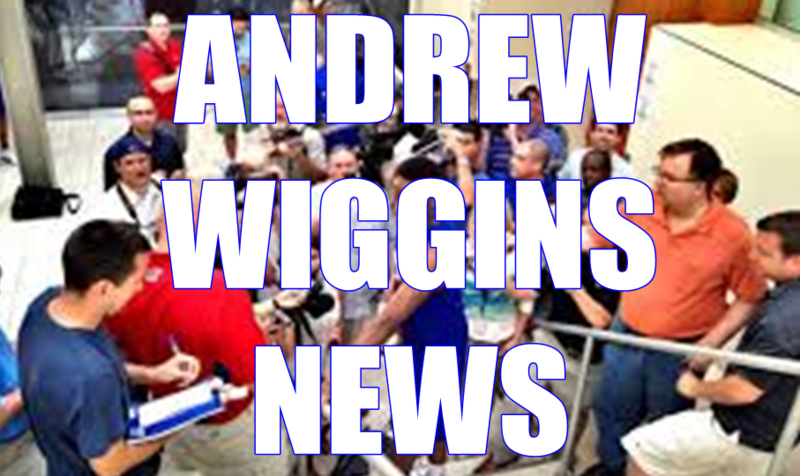 We'll keep any new details about Andrew Wiggins shoes posted right here.